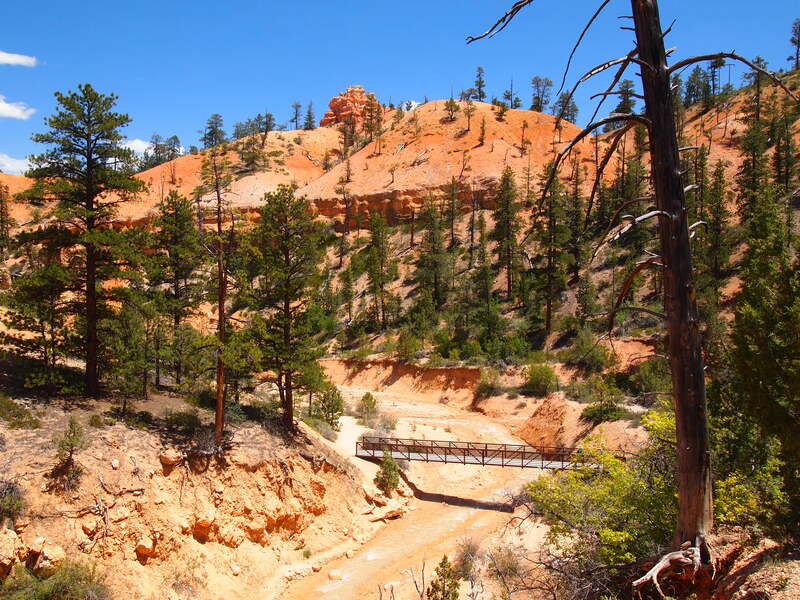 I knew that Scenic Byway 12 would pass by Bryce Canyon National Park. From the map I had, I thought we would drive just above it, never entering the park, simply grazing the boundary. 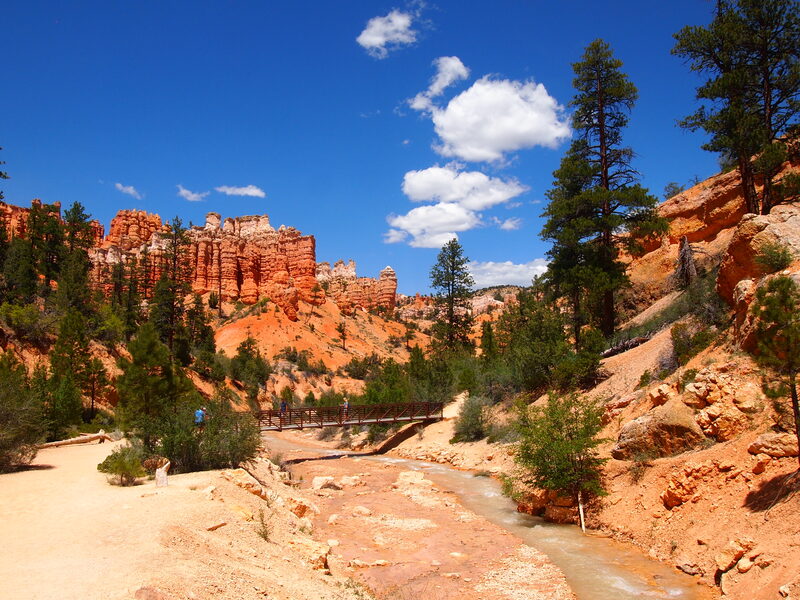 What a delightful surprise when we drove by the sign welcoming us to Bryce Canyon NP! I was thrilled! 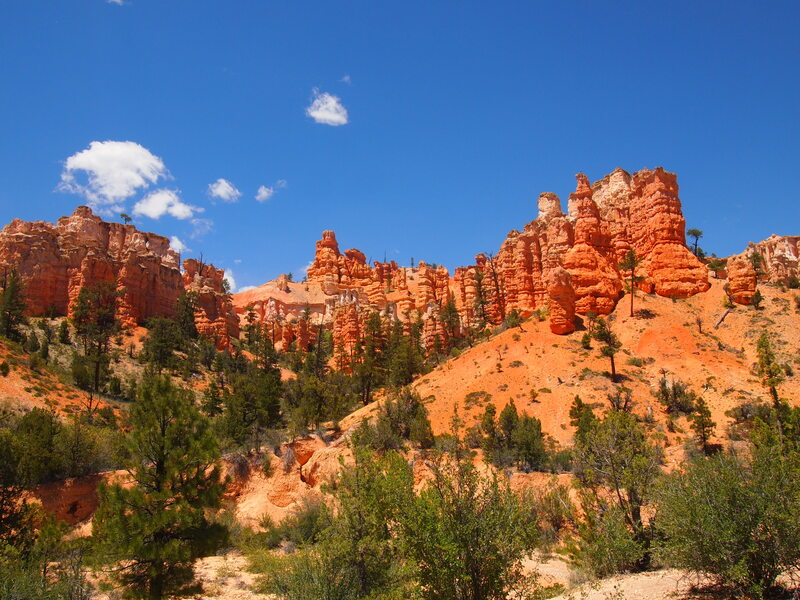 As we drove by colorful hoodoos lining the road side, I told Zach to pull over at the next turnout; I wanted a decent photo. All of a sudden we drove by a turnout filled with cars and people. That was it, we missed it! We pulled over to circle back and upon reaching the parking lot discovered that it wasn’t a turnout. It was a trailhead for a short 0.4 mile (0.8 RT) hike called Mossy Cave. WHAT! We had time for that! How could we not! So, we parked, lathered on some more sunscreen, and set off. 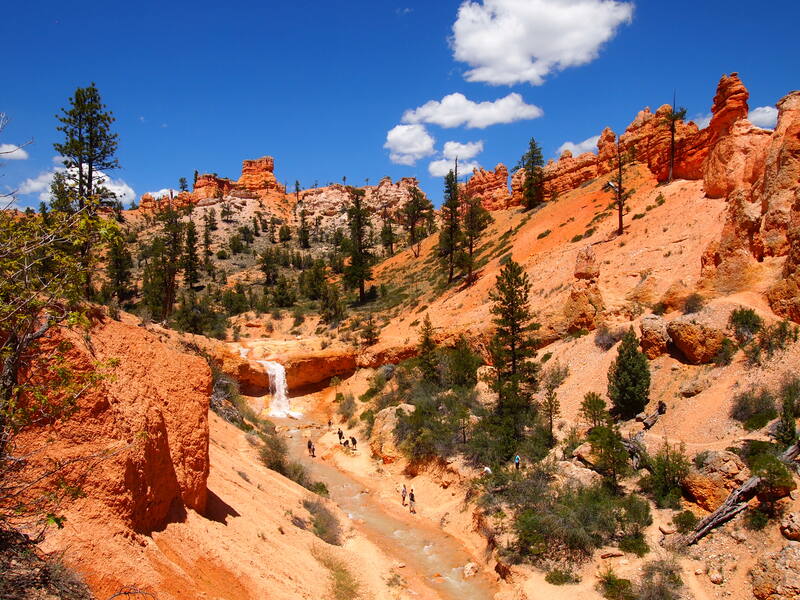 The trail leads hikers from the parking lot to what appears to be a creek running through Water Canyon. The creek is actually the Tropic Ditch, a irrigation canal created by Mormon pioneers in the 1890s. 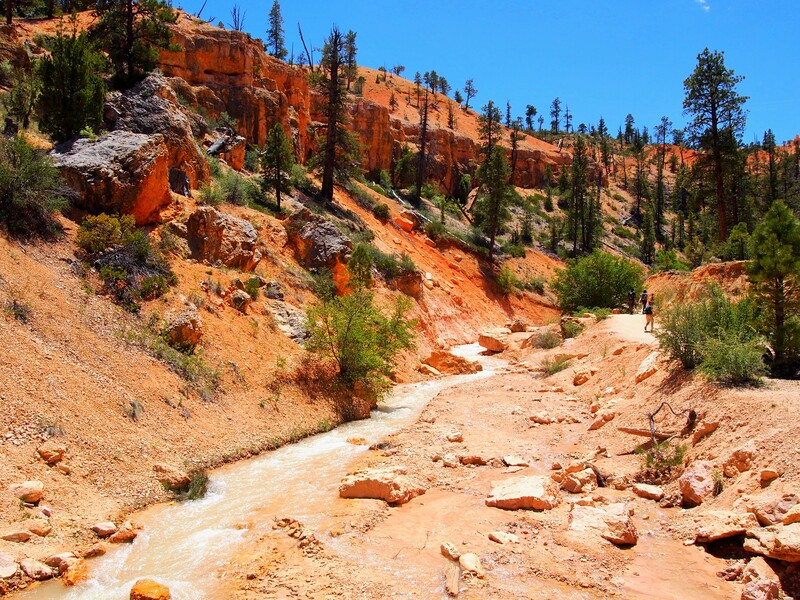 The canal brings water from the East Fork of the Sevier River to the communities of Tropic and Cannonville. 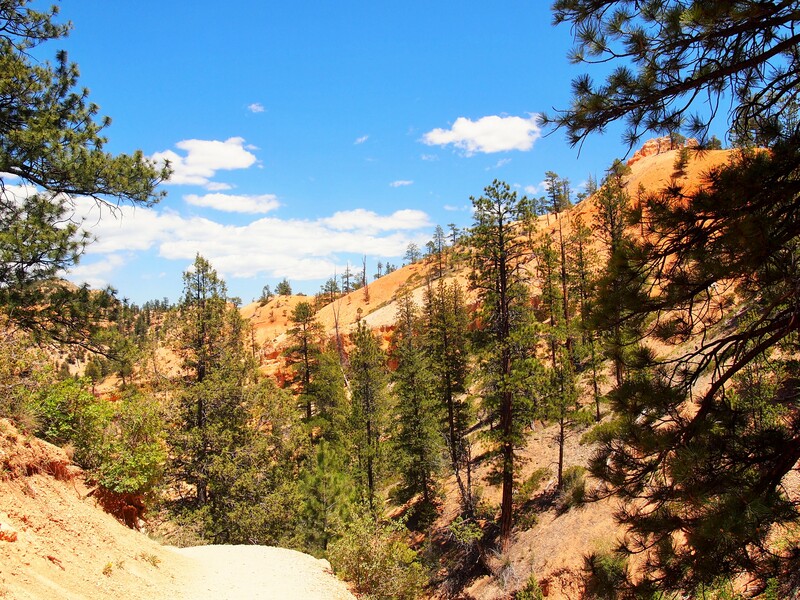 The trail follows Tropic Ditch and then splits into two, branching off to either a shelter cave or a small waterfall. 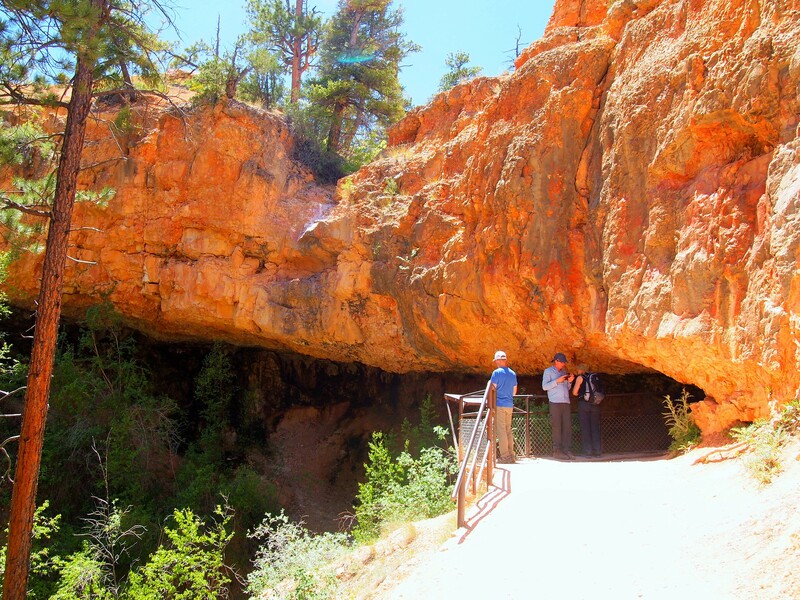 The trail’s namesake, mossy cave, is a quick walk up a brief incline. The cave is kept cool and moist from an underground spring and at certain times of the year giant icicles can be seen. But the waterfall is the true star of the show. 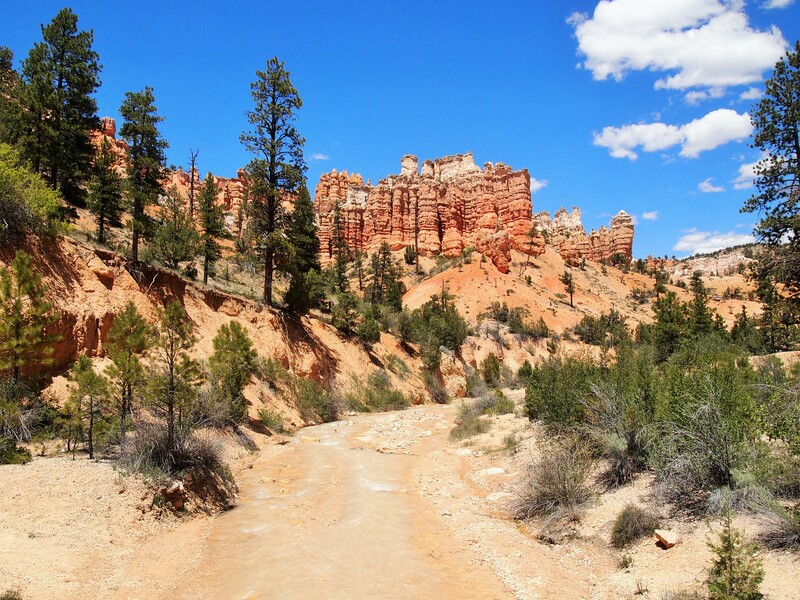 It’s so damn picturesque set against the backdrop of blue sky, red/orange/pink sandstone, and forest green trees that you can’t help but be impressed. 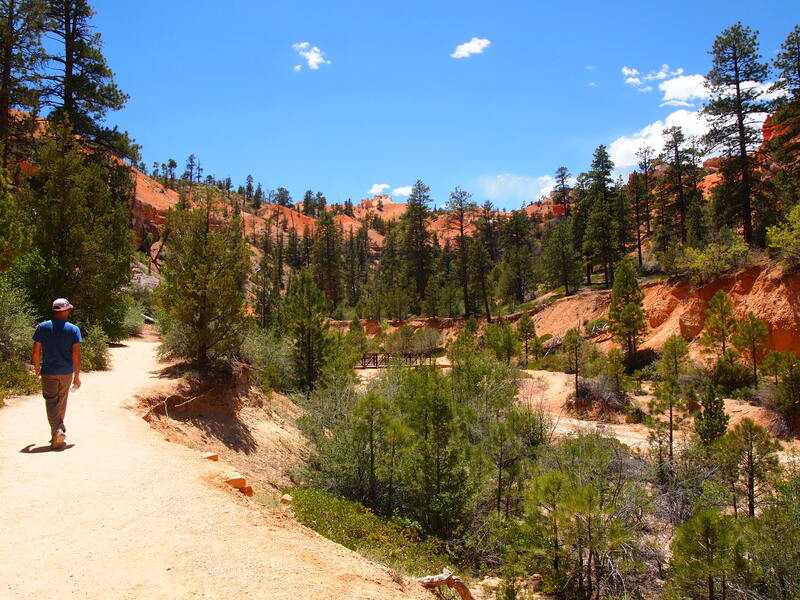 This trail was but a brief introduction to the beauty of Bryce Canyon, and I’m so glad we stumbled upon it. 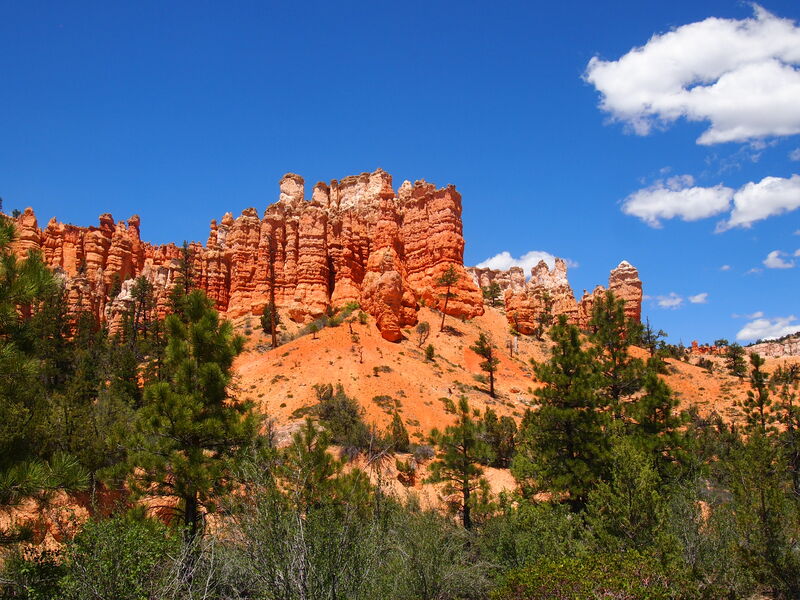 I am even more excited about doing a proper trip to Bryce Canyon in the near future. But, we’re still counting it! 4/5, baby! Looks like a fun hike. Very pretty.